This episode is a recording of the Launch event of the Autistic Empire, which took place in London on Sunday September 16th, 2018. * Odai Quaye discusses Why Now? * Alex Mason explains the background and aims of our Grand Sensory Survey. * Sarah McCulloch discusses the functions of the Autistic Empire and its future. The Autistic Empire is an attempt to create a community dominated by autistic people where minority stress does not exist, where people can have a safe and supportive environment to engage in self-development and express their most authentic selves, and where we can develop solutions to the very real issues we have as a people which can then be exported to the wider world. You can learn more and sign up at http://www.autisticempire.com. If you would like to be on an episode of Audible Autism, please fill out our form here, and we’d love to chat with you. 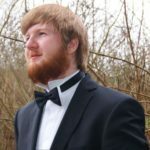 In this episode, Jason Hodgson, experimental composer, discusses his work and how his autism influences his music and other interests. Jason organises a number of live music performances across the country, including Adventures and Artists: a Live Dungeons and Dragons Concert. Follow Jason on Twitter or visit his website. In this episode of Audible Autism, we have Libby, an animal behaviour technician from Plymouth and a talk she gave at Stoke Newington Library on her autistic journey. We hear her diagnosis at the age of four, her life as a selective mute, and eventually her graduation and journey to university. In this special themed episode, Odai looks at the world of work from an autistic perspective. With stories from Sarah, Savva and Cee, Odai considers what life in a neurotypical workplace is like for an autistic person. Sarah and Odai then interview Cee about their special interest in labour market policy, and life as a civil servant for a government department. Apologies for the delayed return, it was all Sarah’s fault. She’s very sorry. In this final episode of 2017, Odai and I mark the season by pulling out our magic hats and playing a game of Secret Hitler with some friends. CW: Some bad language (from Sarah, everyone else kept it together). Audible Autism will now be going on hiatus until February, we’ve had a blast but we’ve now got a long list of administrative and technical tasks we need to get through so the next batch of episodes learns from the first. Please stay tuned. If you would like to be on the next season of Audible Autism, please fill out our form here, and we’d love to chat with you.